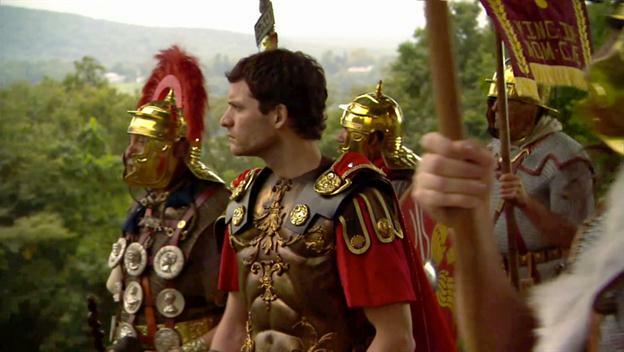 The Roman leader Julius Caesar was stabbed 23 times by a mob of mutinous senators in 44 B.C. Could he possibly have survived long enough to utter his famous last words “Et Tu, Brute”? You may remember the soothsayer’s warning to Julius Caesar to “Beware the ides of March,” but the term didn’t originate with William Shakespeare. The earliest Roman calendar, which consisted of ten months beginning with Martius (March), was believed to have been created by King Romulus around 753 B.C. At that time, dates were expressed in relation to the lunar phase of the month using three markers: Kalends (Kal), Nones (Non) and Ides (Id). The first phase of the moon, the new moon, was denoted by Kalends and signified the first day of the month; the first quarter moon fell on either the fifth or seventh day of the month and was referred to as Nones; the full moon fell on either the 13th or 15th day of the month and was referred to as Ides. The ides of March—March 15—initially marked the first full moon of a new year. During the late Roman Republic, a new year’s festival was held on the ides of March in which people would gather a mile outside of Rome on the Via Flaminia by the banks of the Tiber River. Participants celebrated with food, wine and music and offered sacrifices to the Roman deity Anna Perenna for a happy and prosperous new year. Between 222 and 153 B.C., the ides of March also signaled the beginning of the new consular year, in which two annually-elected consuls took office as leaders of the republic. In 46 B.C., after consulting with the Alexandrian astronomer Sosigenes, Julius Caesar reformed the Roman calendar by adding ten days to the 355-day year, instituting January 1 as the first day of the new year (beginning in 45 B.C.) and introducing a leap year every four years. Shortly thereafter, he was granted the title Dictator Perpetuus or “dictator for life.” Concerned with Caesar’s increasing power and monarchical leanings, a group of Roman senators stabbed the ruler to death on March 15, 44 B.C.—forever linking the ides of March with the assassination of Julius Caesar. CSI, Ides of March, Julius Caesar, Leap Year, Rome, Shakespeare. Bookmark.